Transformer pads manufactured by Westcon Precast come ready to install, reduce labour costs and job site interruptions. Our production methods in the state of the art CSA certified plant are produced in a controlled environment. A strict inspection process ensures a quality prefab concrete pad through each step. 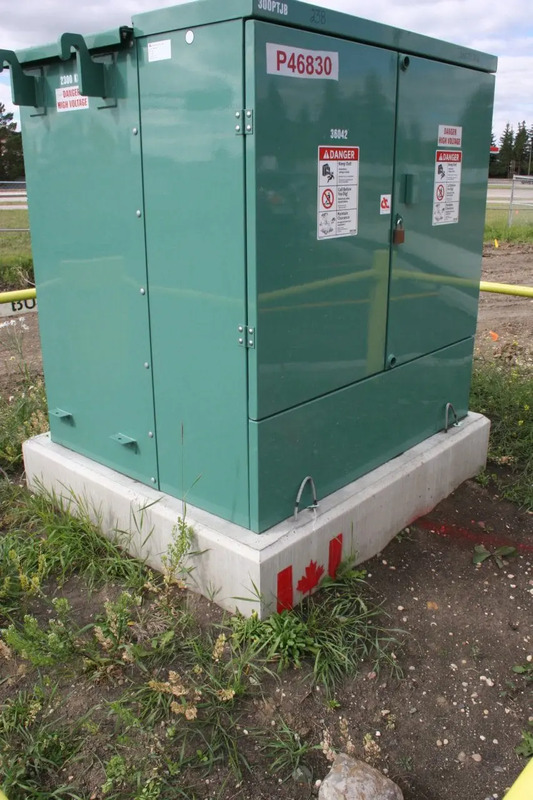 Westcon is excited to offer installation of precast transformer pads saving you time and money. Our trained Journeyman crane operators will place the transformer pads into your prepared excavation.